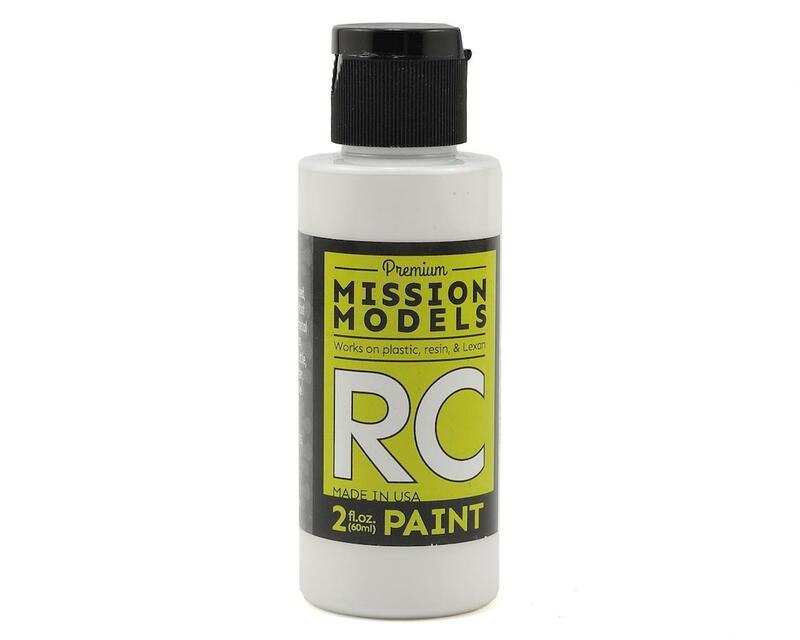 Mission Models Acrylic Lexan Body Paint is perfect for clear lexan RC car bodies, but can also be used on resin and plastic models. Mission paints are triple-pigmented for maximum opacity, and will not fade over time. The paint can be reduced using and can be airbrushed straight from the bottle at 10-15 psi. The paint can also be reduced using Mission Thinner/Reducer (MIOMMA-002 or MIOMMA-003) at a ratio of 2-3 drops of reducer per 10 drops of paint. If a smoother, more durable finish is desired, combine with Mission Poly Intermix (MIOMMA-002). Cleanup is as easy as mixing the paint! Rinse the airbrush first with water, and follow up with thinner. Available in 58 different colors and packaged in 2 oz. plastic bottles.